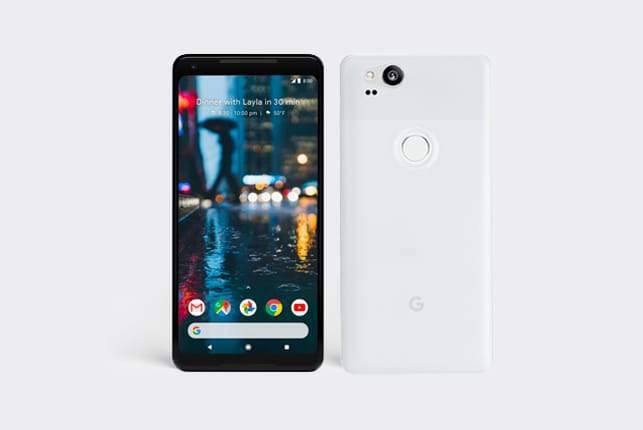 The Google Pixel 2, albeit, an expensive smartphone with high-end features and hardware, ought to have a strong case to protect it from scratches and other wear and tear. And, a case adds a nice touch of personality to your smartphone. With the sheer number of Pixel 2 cases from which to choose, we compiled this list of top Google Pixel 2 cases for you. Here, the first case on our list is the Google Pixel 2 Case, LK Ultra [Slim Thin] Scratch Resistant. This case costs just $8. It features an ultra-thin body that fits snuggly onto your Pixel 2. It has a solid grip and aligns perfectly with the fingerprint reader and the camera/flash. For now, the case comes in clear, black, mint and purple. You can find it on Amazon. 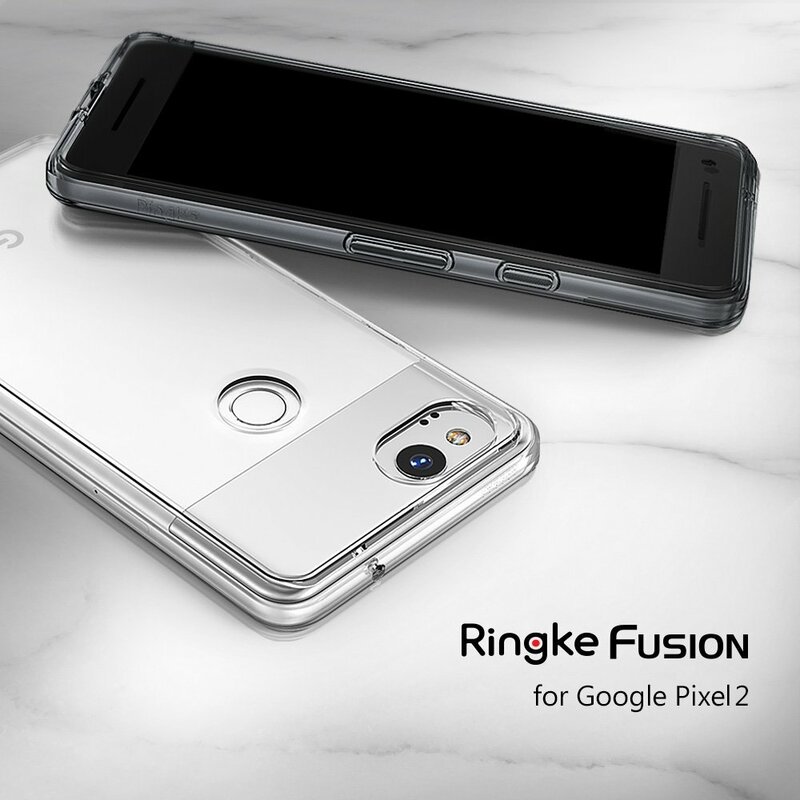 Second on the list of top Google Pixel 2 phone cases is the Google Pixel 2 Phone Case Ringke [FUSION] Crystal Clear case. This one comes in crystal clear rose, crystal clear smoke black, or the minimalistic transparent look. And, much like the previous, it costs under $10 on Amazon. The only downside is that the edges may be a bit sharp to some. However, they are not so sharp that they cut. Case. It comes in black, blue, or silver semi-transparent matte finish. This case focuses on maintaining the original look and feel of your Pixel 2 while at the same time protecting your Pixel 2. This case costs $25 on Peel. There’s a case on the below Pixel 2, believe it or not! The next case is the Spigen Tough Armor Google Pixel 2 Case. It features a kickstand and is solid heavy duty case. It is really good for traveling as it offers double layered protection. However, it may prove a bit too bulky for everyday use. Although, compared to other heavy-duty phone cases, it is a on the thinner side. See it in the image below. And, it costs just $17 on Amazon. These Pixel 2 cases make for great gift ideas and many go on sale during the holiday season, Black Friday, Cyber Monday etc. 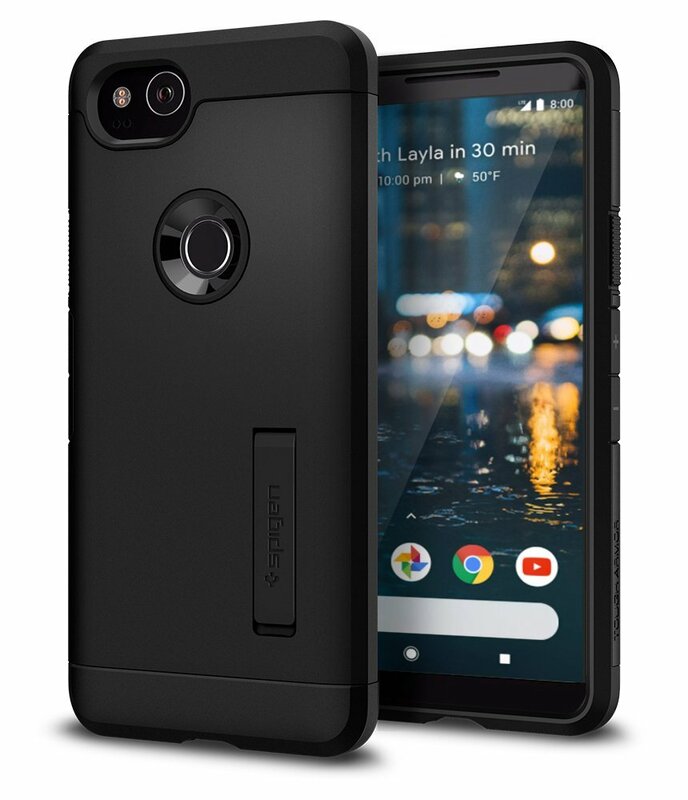 If you own a Pixel 2 XL, here is a post offering good case choices.